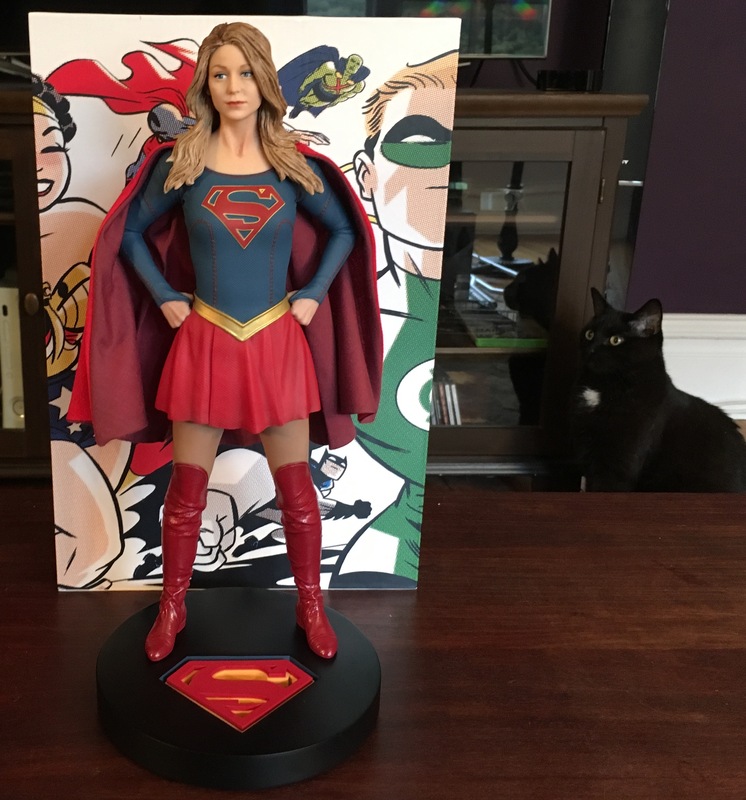 Hey, the third season of Supergirl airs Monday (10/9) and to get you even more in the mood, we’ve got this nifty review of DC Collectibles’ recent statue of the Girl of Steel. 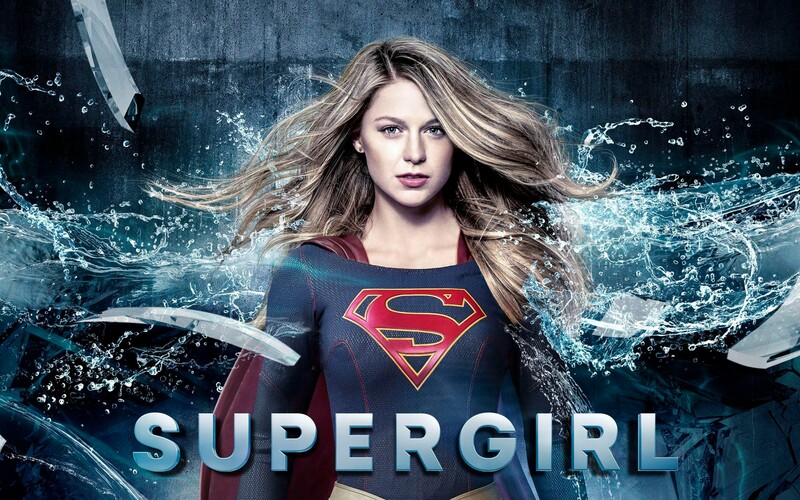 For one thing, it looks like Melissa Benoist, all confident and whatnot as she stares off, looking toward her next heroic deed. 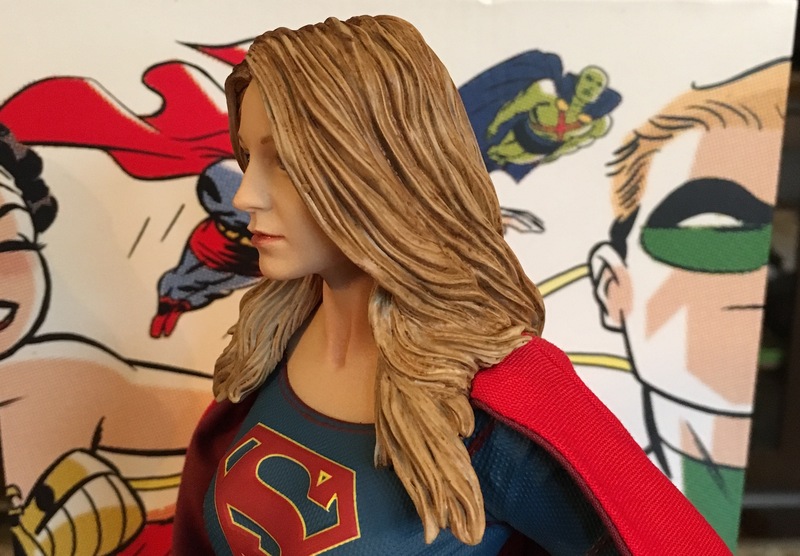 For another, DC opted to give her a soft-goods cape — and it works. 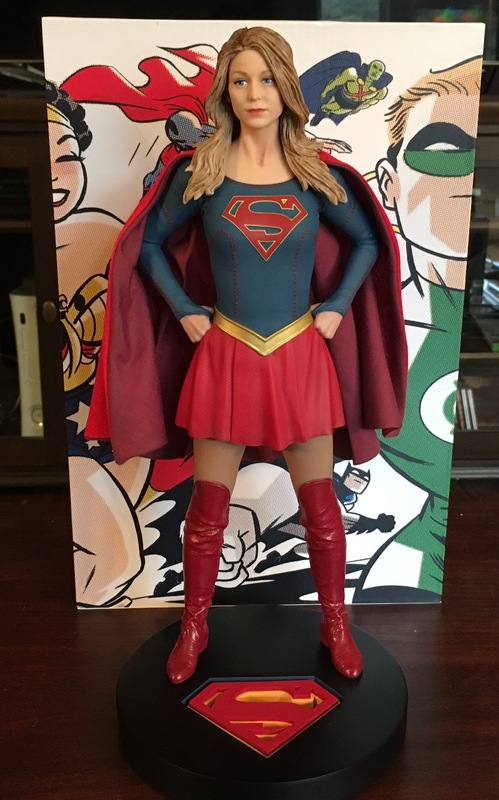 The statue is roughly 12.5 inches tall and it can sometimes be a challenge to get cloth to hang properly. 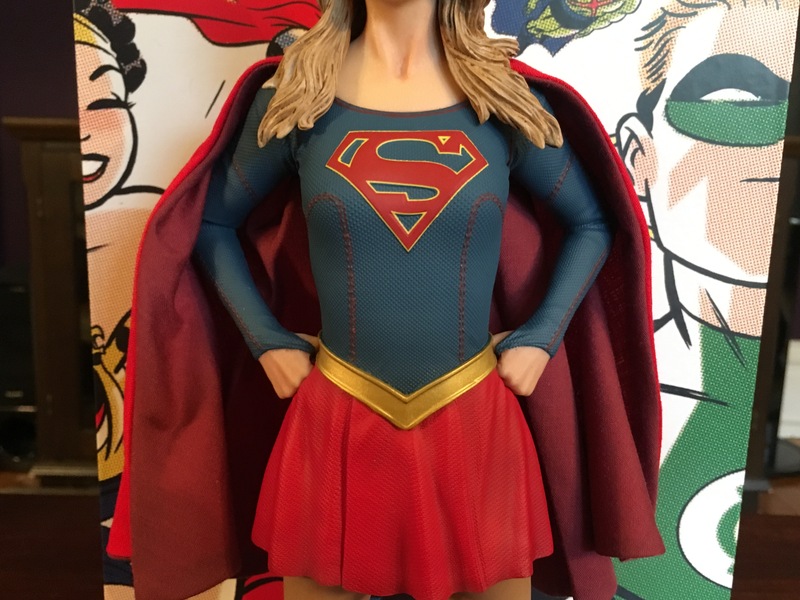 But here it’s visually effective and helps give the painted-on bodysuit a more life-like feel: From a distance you can’t tell that all that texture and all those detailed seams are sculpted. very nice. 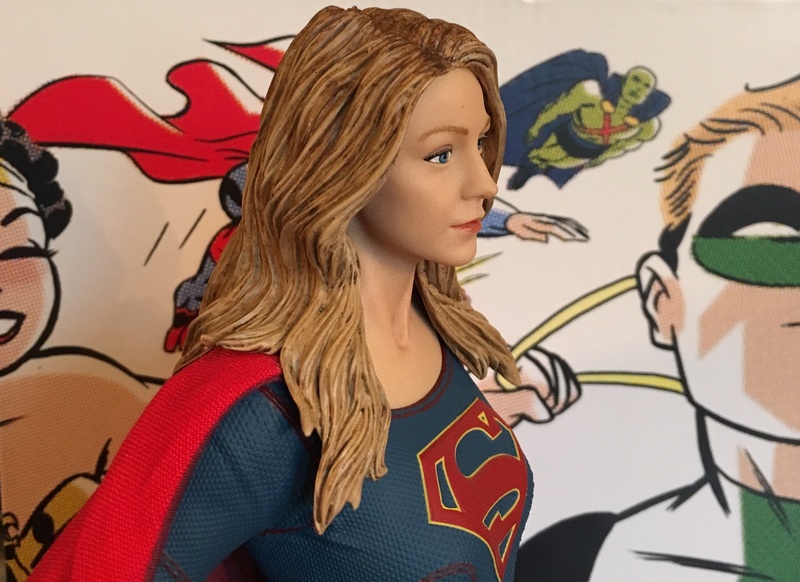 I’m still debating, I know if I buy this Hot Toys will announce a poseable version, which I’d prefer! 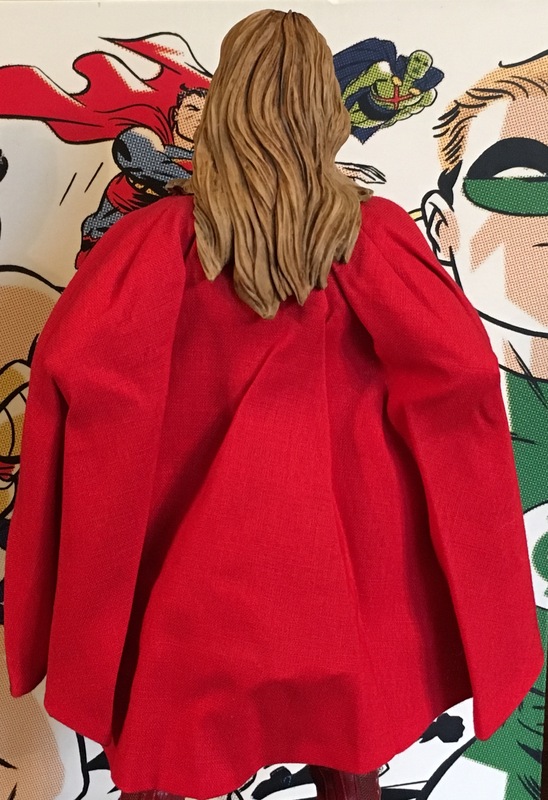 What is so wrong with the yellow “S” on the back of the cape? I don’t get their distaste for it.